for a living room its very smole and when the power is off there is flases of light but the as it is its very Beautiful and look Very rich. I am overall sastified with the quality and shipping time. 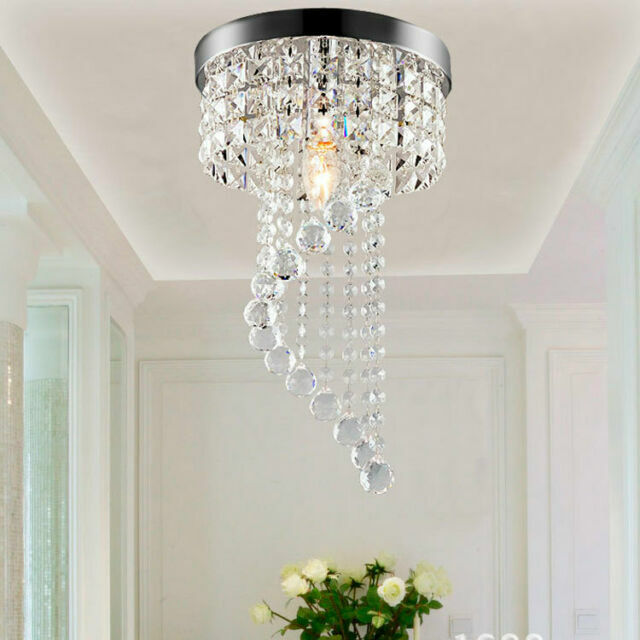 I recently remodelled a bedroom and this light polished it off. Very elegant. Pretty too look at during the day and the lighting at night is so nice. Great product! Great quality! Great Price! it took maybe 10 minutes to hang all charms and another 10 minutes to mount.